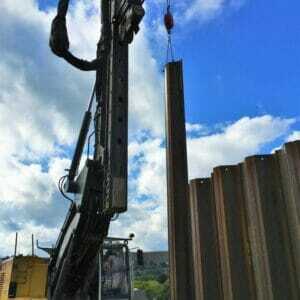 Piling and Sheet Piling at Mossley in Manchester. Aarsleff Ground Engineering have completed the multi-discipline ground engineering package for a new housing development in Mossley, Manchester. The new development, named Buckton View, sits off Earnshaw Clough and will comprise of 36 one to four bedroomed houses. The 1.76-hectre site sits on a hill, and so extensive ground works were required, making this project a challenging one due also to its restricted access. The construction of Buckton View was awarded to Construction Partnership UK (CPUK), who initially award Aarsleff the contract to install a sheet piled retaining wall for the project. Aarsleff started on site at the end of August installing 175 linear metres of AZ20-700 steel sheet piles to create a 4m retaining wall to support the main access road into the new housing development. The steel sheet piled retaining wall was designed as a cantilever wall to allow for the road to the built to highway specifications. In addition to the sheet piling, Aarsleff were also awarded the precast concrete piling for the 36 plots. Aarsleff commenced work on site a day after the sheet piling commenced, driving 226 No. 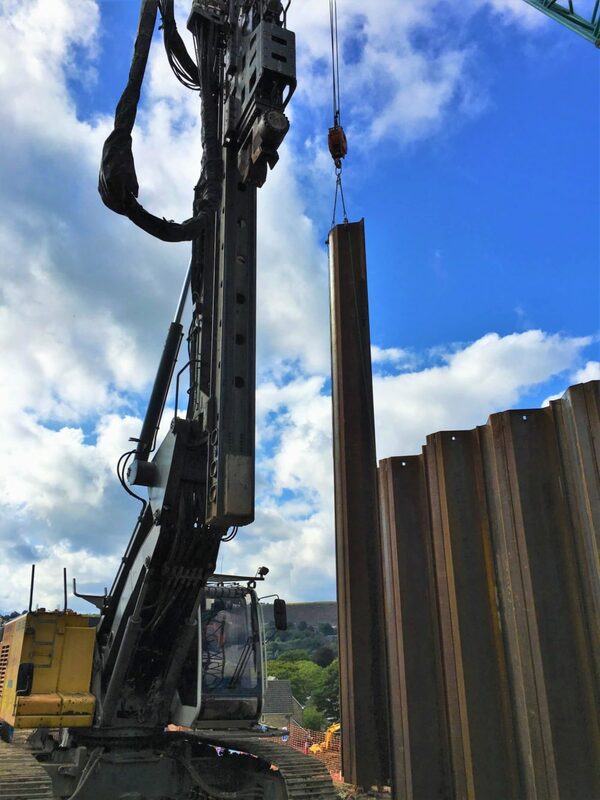 200mm square precast concrete piles to an average depth of 7.5m utilising their bespoke Banut 300, a piling rig specifically designed for housing and restricted access sites in mind. The piling works were completed over two phases, with the second phase due in May 2019.